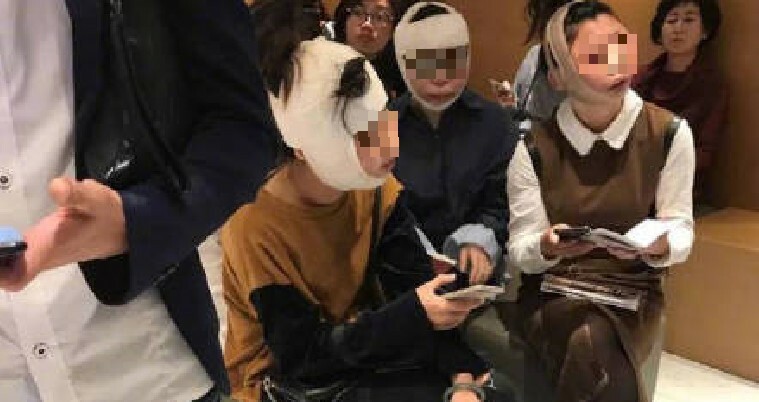 It is reported that due to the fact that their face was so swollen after the surgery that immigration officers couldn’t match her face to their passport had to take some time to identify them. Perhaps they should have taken into account and have a recovery phase before heading back to their country?? So if you decided to do plastic surgery do take into account about this? If not you might face the same fate as the ladies above! Previous ArticleMOTORCYCLE COLLIDES INTO CAR ALONG WOODLAND TOWN! Next Article JB POLICE OFFICER SEEN “FLIRTING” WITH GIRL HAVE BEEN REMOVE FROM PATROL UNIT!